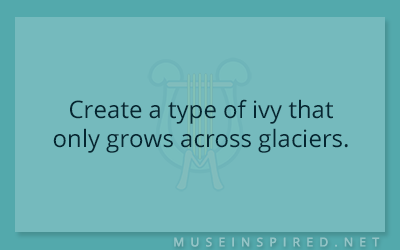 Fabricating Flora – Create a type of ivy that only grows across glaciers. Fabricating Flora - Create a bulb that uses little legs to find better soil. Fabricating Flora - Create a blossom that only blooms during the first frost.